Asus to launch Zenfone 2 Selfie, Deluxe and Laser on August 6 Specifications Features :- On this 6th of August India will witness a different kind of festival, amused? We are talking about Zen festival which will be hosted by the popular IT company Asus that is also in the mobile phone segment, thanks to its faddish Zenfone flagship. On 6th of August company will launch three smart phones back to back. Asus has announced this strategy in an event where Asus unviel these three smart phones. Company has named these handsets as Zenfone 2 Deluxe, Zenfone Slefie and Zenfone 2 laser. As the name suggest Zenfone Selfie is going to be another selfie oriented smart phone while Zenfone 2 Deluxe will incorporate some of the higher end specifications and Zenfone 2 laser is also going to be another photographic oriented smart phone. As the name suggest these handset is going to be a top notch smart phone. It sports 5.5” display offering screen resolution up to 1080p and also comes along with corning gorilla glass 3 protection to keep the display safe. It is powered by quad core Intel Z3580 processor and its processor is coupled along with whopping 4Gb of internal RAM. It bears 64Gb of memory on board which comes with additional Micro SD card slot. There is 13MP of shooter at the rear with 5MP snapper at the front. It houses 3000mAh battery and accommodates connectivity features like Wifi, Bluetooth, 4G, GPS, dual SIM slot etc. It operates on latest android 5.0 Lolipop version topped by ZenUI. It also brags 5.5” display which delivers screen resolution up to 1080p. It runs on Octa core processor based on snapdragon 615 64 bit processor, to augment the graphics Adreno 405GPU is also provided. It bears 16Gb of internal memory with external memory expandable up to 32GB. The processor here is mated along with 3GB of internal RAM. It comes up with 13MP of camera at the rear which comes along with 13MP of camera at the front. Both front and rear snapper proclaim dual LED flash.Just like its kin Zenfone 2 Deluxe, it houses 3000mah battery capacity. It entails connectivity features like Wifi, Bluetooth, USB, GPS etc. it also supports 4G LTE connectivity and functions on latest Android 5.0 layered by ZenUI. It is going to be another photographic centric smart phone after Zenfone Selfie with the only difference that it boasts laser auto focus. It also comprises 13MP of shooter at the rear with 5MP camera at the front that can be used for video calling and clicking selfies. It flaunts 5” display claiming screen resolution up to 720p. It runs on quad core processor which is based on qualcomm snapdragon 410 chipset and its processor is coupled along with 2GB of internal RAM. It proffers two options in internal memory I.e 16Gb and 8GB with scope of expanding the memory with the help of MicroSD card slot. It is a dual SIM Smart phone that caters the connectivity features like 4G LTE support, Wifi, USB, GPS, Bluetooth etc. Just like other ventures of Asus Zenfone 2, it also operate on latest Android V5.0 Lolipop version wrapped under ZenUI. 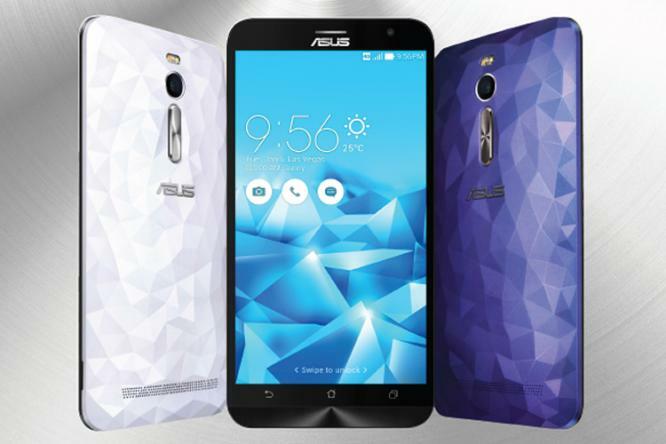 Hope you loved this article Asus to launch Zenfone 2 Selfie, Deluxe and Laser on August 6 Specifications Features and the data provided above too. Thanks for visiting us and do provide your comments and reviews below. Don’t forget to share this song with your near dears on social media sites such as facebook, twitter, tumblr, pinterest, digg, google plus, linkedin, stumbleupon, etc.